Gina Trimarco built Myrtle Beach’s entire improv scene from the ground up…and that was only the beginning. Today she works with executives at some of the biggest companies in the world, and she made it all happen by making connections and cultivating her own cultural playground. 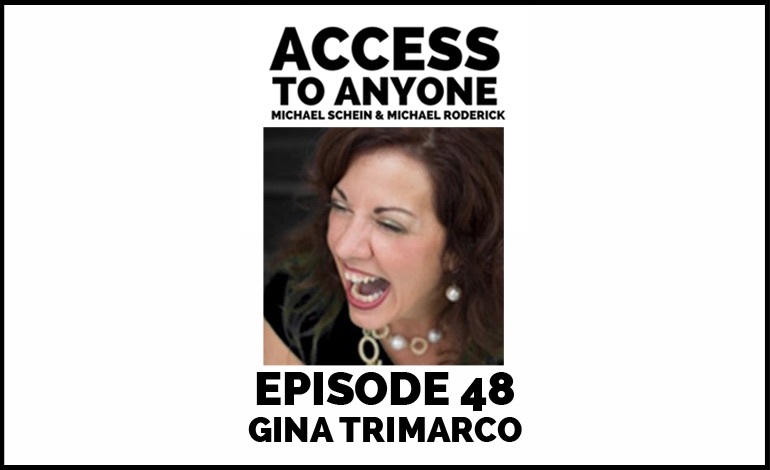 On this episode, the Second City alum shares how she turned her love of comedy into a roaring (and scalable) business, and reveals how improvisational techniques can teach us a lot about the art of networking. Gina Trimarco is the CEO of Pivot10 Results, a consulting firm that trains businesses to shift from people problems to performance results through an integrated focus on leadership development, customer service and sales. She is also is the Founder and owner of Carolina Improv Company, overseeing all aspects of the company, including teaching adult classes, facilitating corporate training programs and directing/producing improv shows. In addition to training and consulting, Gina is a sought-after international speaker and has been engaging audiences on the topics of culture, leadership, marketing, sales and customer service.